The Olympus Tough TG-5 is an award-winning camera known for its versatility, ruggedness, fantastic macro capabilities and high performance-to-cost ratio. Beginners will love the combination of simplicity, functionality and image quality this camera provides. Intermediate users will love the semi-manual aperture priority shooting mode, being able to add on a wet wide angle lens for excellent wide angle shooting, and taking amazing close-up shots of tiny subjects using the camera's native microscope mode. 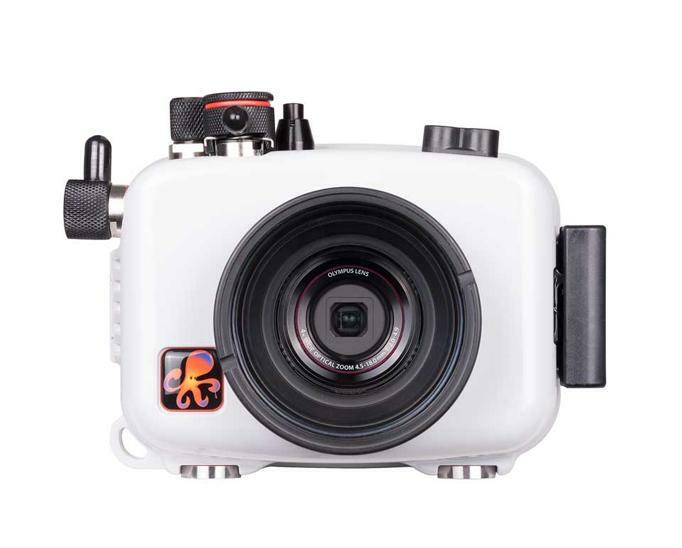 Advanced users with large and expensive underwater rigs may find this camera is the perfect companion to complement their large and bulky setup, both underwater and topside, or may find that some dives they just want a small and simple rig which can switch from ultra wide angle to macro in about 10 seconds. The Olympus TG-5 also packs RAW photo recording for wide latitude when editing (including white balance), 4K video recording, 1080p video recording at 120fps (4x slow motion! 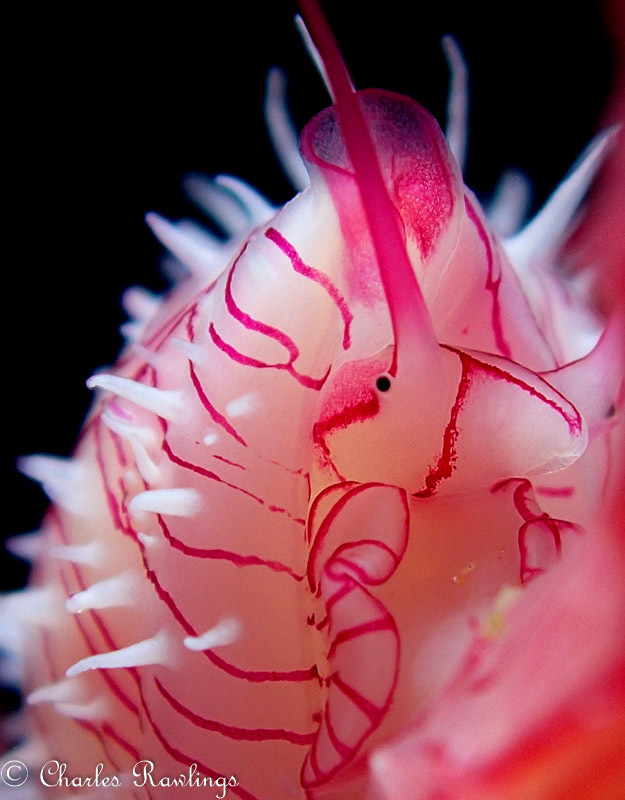 ), a super macro mode with minimum focus distance of 1cm, and automatic TTL flash control with Olympus and/or 3rd party underwater strobes. 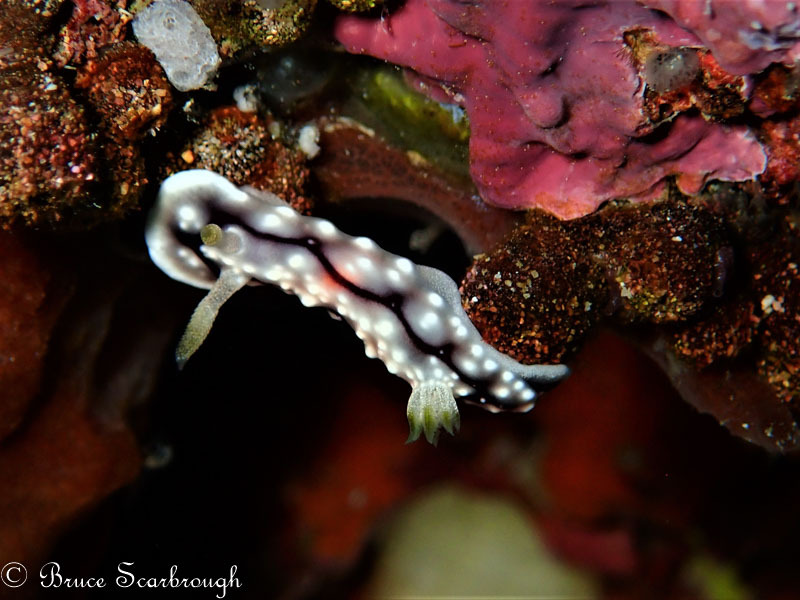 For this review, we engaged a number of members from the Underwater Photography Guide community, both for their great photos and their advice about the camera. Along with contributing to this article, we have a number of feature articles written by TG-5 users that provide lots of great additional information. They are listed in the TG-5 User Feature Articles section at the bottom of this review. Significant improvements have been made with image quality, video quality, burst shooting, and controllability, making the TG-5 a noticeable step-up from the TG-4. The Olympus TG-5 body is very similar to that of the TG-4, with basically identical weight and dimensions (it weighs 3 grams more, and has 1 extra mm for length and width). At a weight of just over half a pound, and width of only 1.23 inches, this compact body fits comfortably in the “pocketable” category. The camera retains the ruggedness of its predecessor; it is waterproof to 50 ft, freezeproof to 14°F / -10°C, crushproof to 220 lbf / 100 kgf, and shockproof from 7 ft / 2.1 m.
It does have one important upgrade, which is that the lens cover glass is now anti-fog dual pane, which is designed to prevent lens fogging when the camera is put through significant temperature changes (as can happen when taking it underwater). Most of the controls are the same as on the TG-4, but there is one major upgrade. A control dial has been added to the top of the TG-5! This makes it much easier to make important adjustments on the fly, for example changing aperture or exposure compensation. This is an important upgrade for TG-5 functionality. 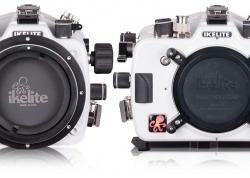 However, with different control configurations the TG-5 does not fit into TG-4 housings. The TG-5's WiFi ability makes it easy to send your images to a tablet or mobile phone (via the Olympus Share app) for editing and posting to your social networks - no need to lug a heavy computer around with you. There is also built-in GPS, compass, temperature sensor and manometer (for altitude and depth) to allow the camera to automatically keep track of your adventure. Use the free Olympus Image Track app on a smart device to view and store your tracking data, synced with your photos. Easily export stills and videos with the extra data to relive and share your adventures. 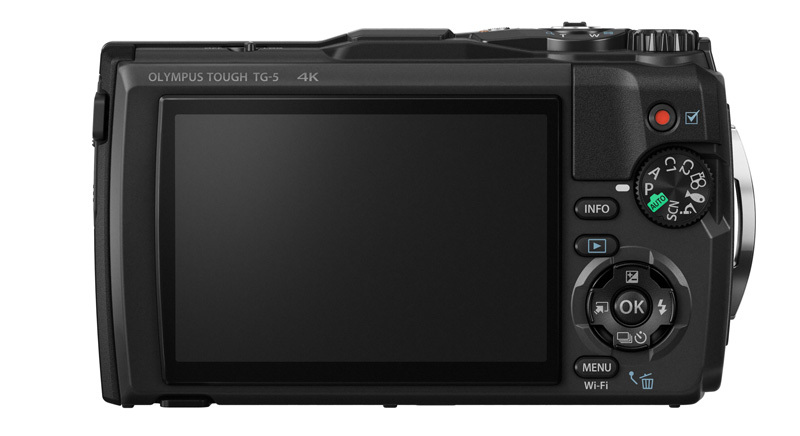 The TG-5 offers plenty of automatic modes, including P (which is full auto). Users wanting some manual control can shoot in aperture priority mode (A), which allows you to adjust the aperture setting you want, with the camera providing the corresponding shutter speed to get the right exposure. In both of these modes, as well as others, you can adjust exposure compensation, to give a level of artistic control over how your shots are exposed. The TG-5 does not have full manual mode. For users who don't use strobes, this will not be a problem or limitation in most situations. 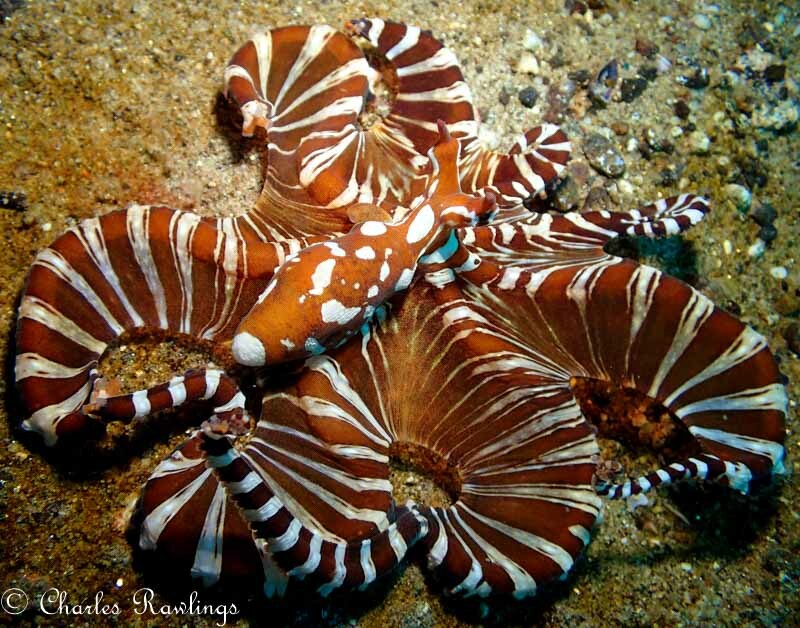 However, it may limit the ability to take particularly creative shots underwater. For users shooting with strobes, the lack of full manual mode will make it much harder to dial in their settings for more dramatic shots, like wide angle or macro photos where the subject is fully lit up but the background is black. Also keep in mind that Olympus has a wide-range of nice OM-D mirrorless cameras. Shooters who are looking strictly for megapixel count will likely shop the mirrorless options, since they are more advanced cameras with better image quality. Check out our detailed reviews of the OM-D E-M1 Mark II and OM-D E-M5 Mark II for more information. The lens has a great focal length range of 4.5mm - 18mm (equivalent to 25mm - 100mm on a full-frame camera). This is better than the Sony RX-100V (24mm - 70mm equivalent), and about the same as that of the Canon G7X Mark II (24mm - 100mm equivalent). The aperture is relatively fast, with an aperture of f/2.0-4.9. This is a bit slower than the RX100V and G7X Mark II, both of which have apertures of f/1.8-2.8, but is still pretty decent. 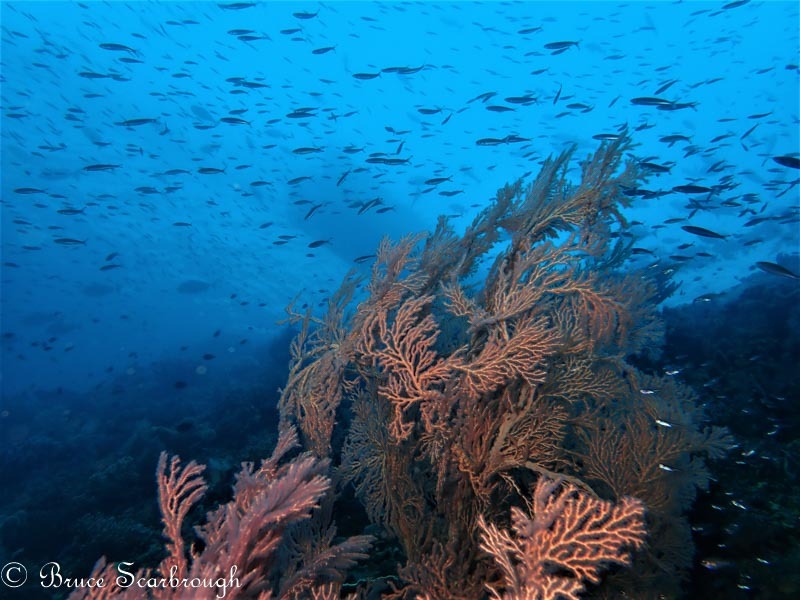 Compared to the SeaLife DC2000, which has an 11.6mm fixed focal length lens (31 mm full frame equivalent) the TG-5 lens provides a lot more flexibility. It is wider angle when shooting wide angle, and the added zoom allows it to work better with diopters for macro shooting. However, the TG-5 has an even bigger advantage for macro shooting, and that is with its microscope mode (see below). Also note the TG-5's versatile zoom range makes it a much more functional camera for topside use. The sequential shooting speed for the TG-5 is an impressive 20 fps, up significantly from the TG-4's top speed of 5 fps. This allows for much better capturing of that precise action moment. Aiding in capturing precise actions moments is Pro Capture Mode. The way Pro Capture Mode works is that, once the mode is selected, the camera will start recording images into the buffer as soon as you depress the shutter button halfway. Then, once you press the shutter button down all the way, it will record the 4 most recent images from the buffer, and then record images going forward from that point, all at the speedy frame rate of 10 fps. This means that even if you are a bit late hitting the shutter button when trying to get that precise action moment you want, you can still capture it using Pro Capture Mode. 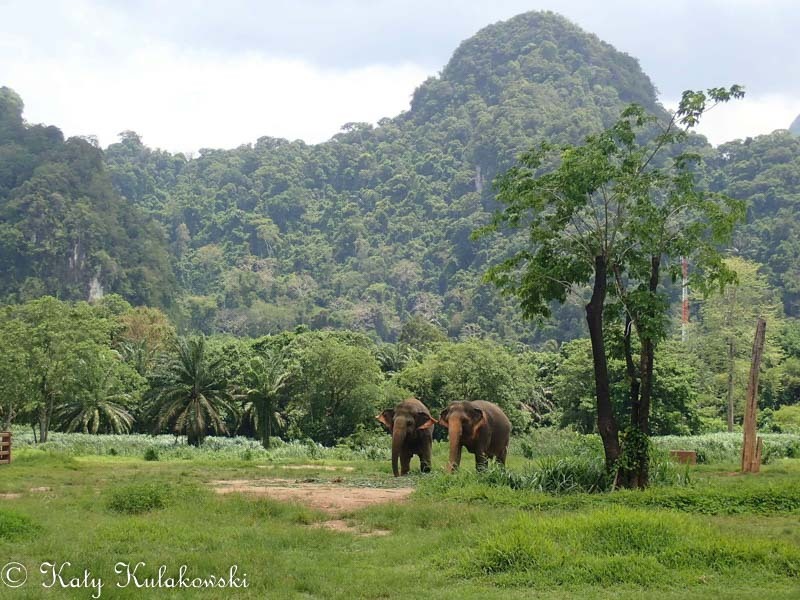 As with the TG-4, the TG-5 can shoot in RAW format as well as in jpeg. The standard image format used in compact cameras is jpeg, which is a compressed image file. When you take a jpeg photo, the camera takes in all of the raw data from the sensor, processes it by applying some standard adjustments, and then outputs a compressed image. During the compression process, some of the raw information from the image is lost, and cannot be retrieved. A RAW file, on the other hand, is an uncompressed file in which all of the raw data from the sensor is kept. 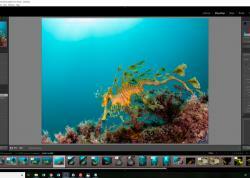 This gives you a much better ability to make post-processing adjustments after taking your photos (for example with Adobe Lightroom or Photoshop, or even with the free Olympus app). So, why not just shoot RAW all the time? RAW files are significantly larger than jpegs, which means that when shooting at high sequential shooting rates, RAW capture can limit the speed and overall amount of photos captured. RAW files also take up more space on your memory card, and on your computer. Additionally, RAW images without any post-processing tend to look flat, so shooting in RAW requires some level of commitment to post-processing. Note that with the TG-5, RAW capture does limit the overall amount of photos that can be captured in one burst of high sequential shooting. When shooting RAW at 20 fps, the camera can capture about 20 shots at 20 fps, but then slows down to a rate of a few fps. When shooting in jpeg mode, the TG-5 can continue to shoot at 20 fps until the SD card runs out of space. When shooting RAW at 5 fps, the TG-5 can shoot 40 images before filling the buffer and slowing down, which should be more than enough to capture an action sequence. However, in some cameras, shooting in RAW can slow the camera down much more significantly. In the case of the SeaLife DC2000, shooting in RAW has been reported to slow sequential shooting down to one shot every few seconds. Using the camera's optical zoom in Microscope Mode allows you to take a photo with up to 7x magnification (35 mm equivalent), which really enables some amazing macro shooting of very small subjects. For comparison, the standard for micro-four-thirds macro shooting, the Olympus 60mm f/2.8 macro lens (used with a mirrorless camera like the OM-D E-M1 or E-M5), has a maximum 2.0x magnification (35 mm equivalent). So the 7x magnification of the TG-5 is absolutely phenomenal. Additional use of the digital zoom allows overall magnification of up to 28x, although at a significant cost to image quality. 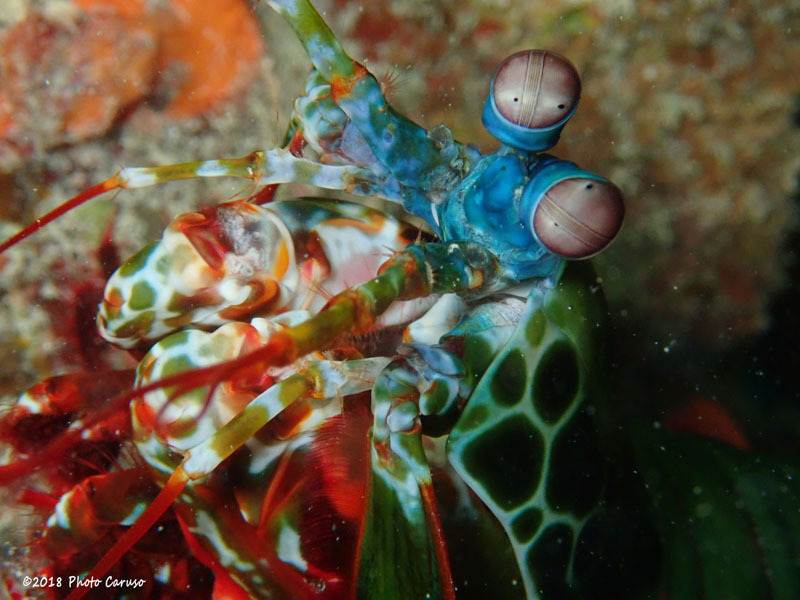 To learn more about macro shooting with the TG-5 underwater, see the macro section below. Through-the-lens (TTL) is a strobe setting where your camera controls your strobe power based on its own light metering. The internal flash trigger is transmitted to your strobes via fiber optic cables, and your strobes fire with a corresponding strength. You can get optical TTL when using fiber optic cables with the Sea & Sea YS-03 (also see TG-5 package with YS-03), YS-01, YS-D1, and YS-D2 strobes. You can also use the Inon Z240, Z330, S2000, or D2000 strobes. TTL works in all modes - P, A and auto modes. One notable downside of the TG-5 when using with strobes, is that on max power the internal flash recycle time is about 4 seconds (meaning you will have to wait that long in between taking photos with the strobe). Often the flash should not be firing at max power though, meaning typically less time between shots. There is also an option to turn down the power of the internal flash using the flash compensation function, which will reduce the flash recycle time further, meaning even less down-time between shots. UWPG community member Travis McElveen was able to reduce the recycle time down to about 2-3 seconds between shots when reducing the flash power to 1/1.3 and 1/1.6 flash compensation. So, compensation makes it significantly better, but it may still limit you in situations where you want to take multiple exposures quickly. UWPG community member Travis McElveen also shared his experience using two Sea & Sea YS-03 strobes in concert with a wet wide angle lens. He found the YS-03 strobes to be nice starter strobes for using TTL and shooting the camera in auto. However, as he started using a wet wide angle lens, learned more about strobe positioning, and needed more light, he decided that he needed more powerful strobes, and also ones with manual control options. He is now considering a set of Inon Z-240s or Inon Z-330s, to get more power and more manual control. Many UWPG community members opted for the simpler (and often cheaper) setup of using constant lighting from a focus or video light. From Bruce Scarbrough: The video light I used was the Sola 3000, which I purchased from BlueWater Photo as part of a package deal. I found the light to work quite well when shooting within a reasonably close distance (e.g, 5 feet or less) from the subject. I did not use a wet lens or other camera accessories (e.g., filters, etc). All pictures and video were shot with TG-5 camera/housing/light package assembled straight out of the box. I would like to eventually purchase a wide angle wet lens for the camera. 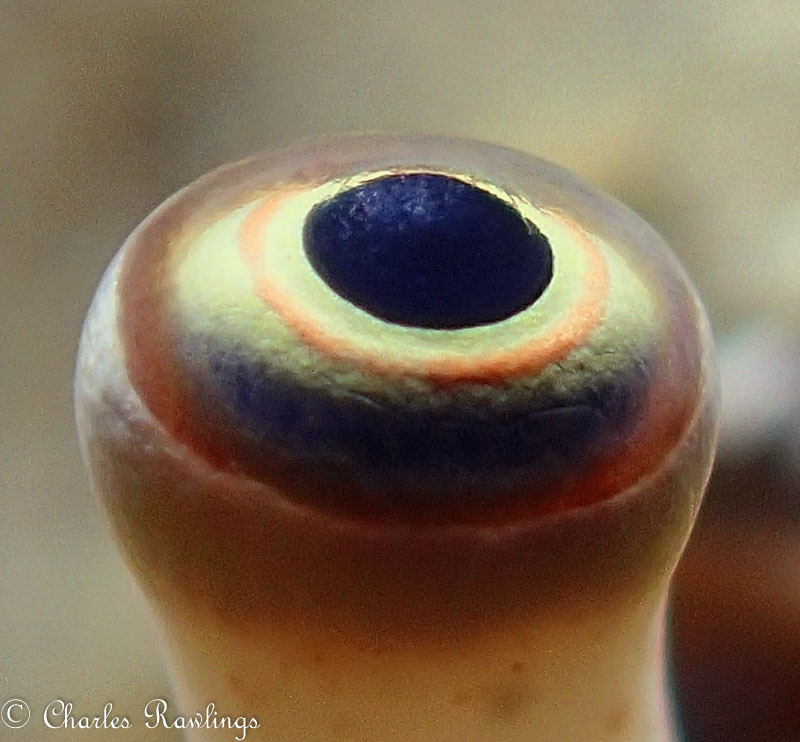 From Charles Rawlings: I typically use a housed Nikon but have found that the Olympus TG-5 compliments my art when used in Microscope mode. For lighting I use a video light – the Light and Motion SOLA 1200 – easier to aim for these close up small subjects. I use the housing for the TG 5 plus base and one strobe arm for the video light. 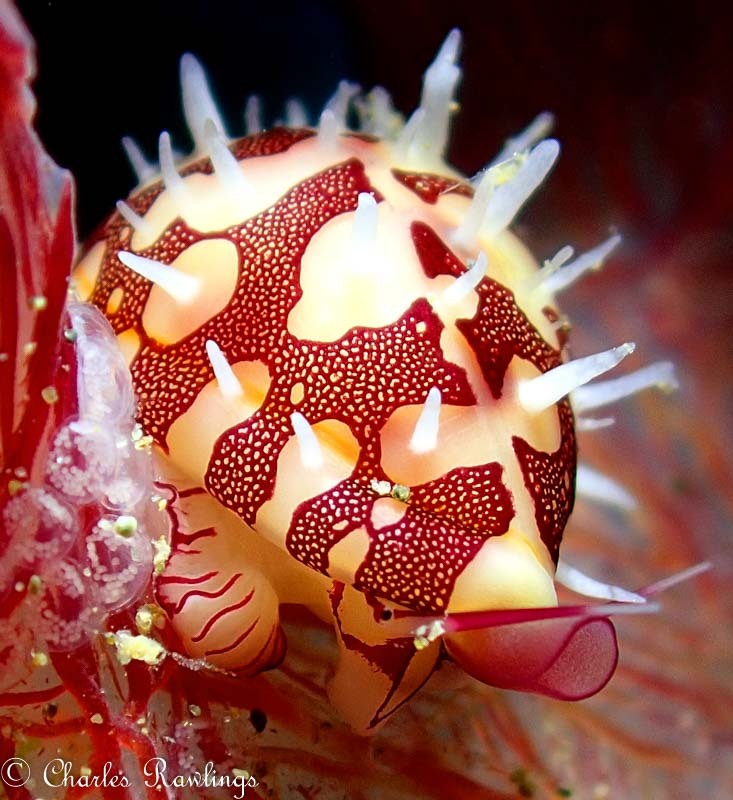 I love my housed Nikon with dual strobes but many of these shells are the size of a pea or smaller and live in delicate soft corals and gorgonians. My housed rig would be exceedingly difficult to maneuver into place without disturbing the coral animals – in other words they would retract. The Olympus is much more maneuverable and causes much less of a disturbance plus allowing close-ups comparable to housing rigs with diopters. What I do when shooting is get close and hold very steady to allow the auto focus to work. I typically shoot vertical with the light tucked into the camera just over the lens so as to fully light the subject and not so much the background. The one big drawback for me in using the light is the difficulty if not impossibility of achieving a black background like you can with strobes. Check out our focus and video light article for more info about the many options out there. With other compact cameras, the only real way to take great macro photos of small subjects is to use a wet macro lens (also known as a wet diopter). However, with the TG-5's amazing Microscope Mode, macro shooting can be done without using any wet wide angle lens. As mentioned in the above section on Microscope Mode, the TG-5 can focus on a subject only 1 cm away, and by using the optical zoom can get a magnification of 7x without using the added digital zoom capabilities. If you want to get even more macro functionality, to shoot super-macro, the Bluewater +7 macro lens gives very good results. We recommend stacking 2 of these lenses for supermacro. As mentioned by UWPG community user Charles Rawlings, who does a lot of macro shooting with a housed Nikon rig with two strobes (you can see his work here: www.livingmollusks.com and www.livingshells.com), he uses the TG-5 to complement his much more expensive Nikon rig when shooting pea-sized subjects because "the Olympus is much more maneuverable and causes much less of a disturbance, plus it allows close-ups comparable to housing rigs with diopters." As with all compact cameras, the TG-5's lens covers somewhat wide-to-mid-range focal lengths. The capabilities can be greatly improved for wide angle shooting by using wet lenses, which connect to the outside of the camera housing (or, for some options, to the camera body itself if not using a housing) and increase the angle of view. However, that's not to say that this camera cannot take nice wide angle photos without a wet wide angle lens. 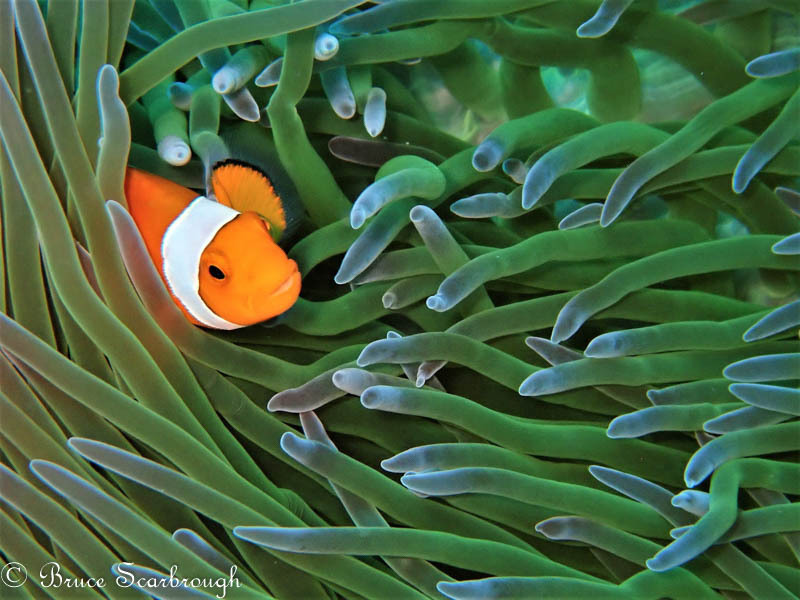 Here's another nice example from UWPG community member Bruce Scarbrough, taken without a wet wide angle lens. A wide-angle wet lens increases the field of view, which means that for shooting a given subject at a certain size in your photo, you have to be quite a bit closer to it. Although this can be a hassle with a skittish subject, what it does mean is that you get less water between the camera and your subject. And less water means a clearer subject, as well as better lighting from video light, photo light or strobe, which means much better colors. 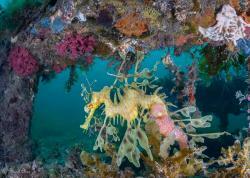 A wider angle also allows for more dramatic shots, especially with large subjects like oil rigs, kelp forests, large animals, reefscapes and wrecks. We recommend using the UWL-04 fisheye lens, which with its 165 degree wide angle of view will allow you to create stunning wide-angle shots. Other great options to consider are the Kraken KRL-01 and KRL-02 wet wide angle lenses, which provide 145 and 150 degree angles of view, respectively. Olympus also offers a wet wide angle lens, the PTWC-01, which provides a 100 degree angle of view. Note that a step-up ring (52mm > 67mm) is necessary to be able to use the Olympus and Kraken KRL-01 wet lenses with the Olympus TG-5 housing. 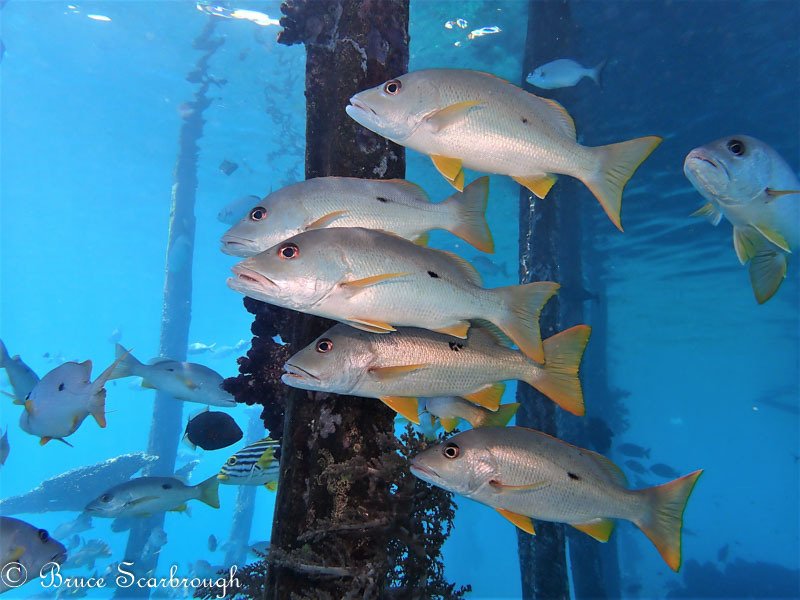 UWPG community member Tom Caruso shared his in-depth experience using the UWL-04 fisheye lens. My new favorite piece of equipment is hands down the UWL-04 wet-lens dome port. As a photographer I use following mantra: Expose the unseen. 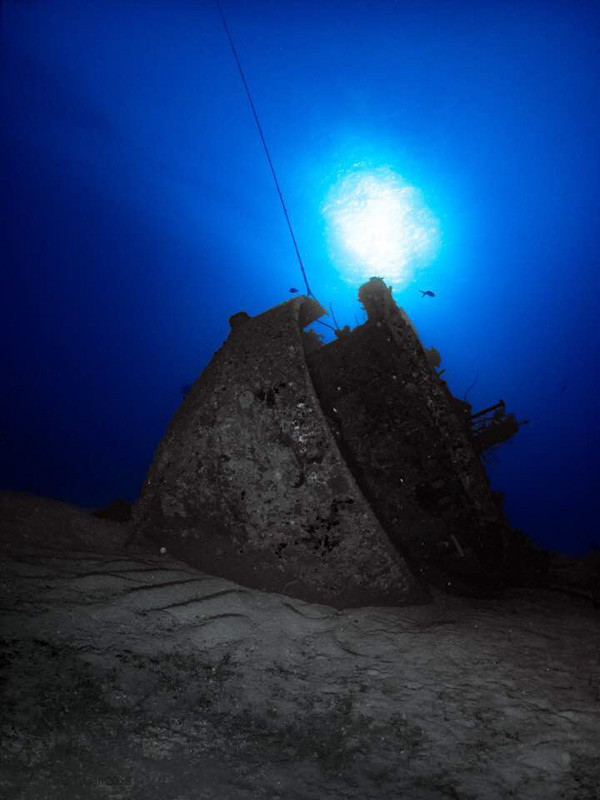 Now that everyone seems to have an underwater camera these days, I try to focus on the shot that others aren’t. I actually enjoy the complexity of trying to get a good over-under shot. The lighting has to be just right, you need a subject out of the water AND you need a subject under the water (although it should be very near the surface). The flexibility to go from super wide to super macro in 10 seconds is the greatest reason in the world to use this lens. UWPG community member Travis McElveen shared his extensive experience using a Kraken KRL-02 wet wide angle lens with his TG-5 rig. The most noticeable benefit I've noticed from the Kraken is that I'm much more able to capture the scope of wide angle scenes underwater. 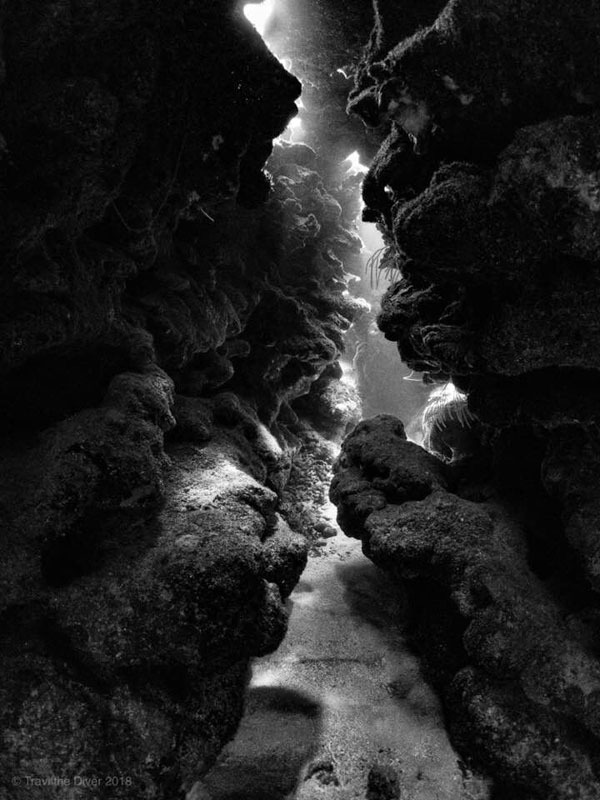 Whether it's fissure cracks or rolling "hills" of coralheads or vertical walls, the wide angle lens really allows you to step back, so to speak, and take in more of an underwater landscape. Another much appreciated benefit, is the ease with which it makes composing wide angle shots. 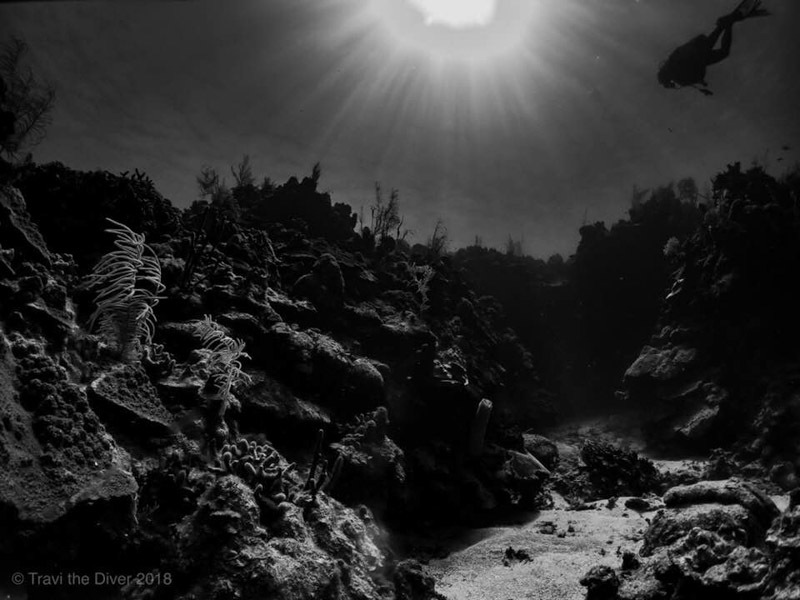 Without the wide angle lens, you really have to work at getting multiple subjects in one shot: a sunball, diver, interesting coralhead, fish, etc. The wet wide angle lens allows more flexibility in positioning those subjects and opens up the possibilities since you don't have to have your subjects so tightly grouped or inline. 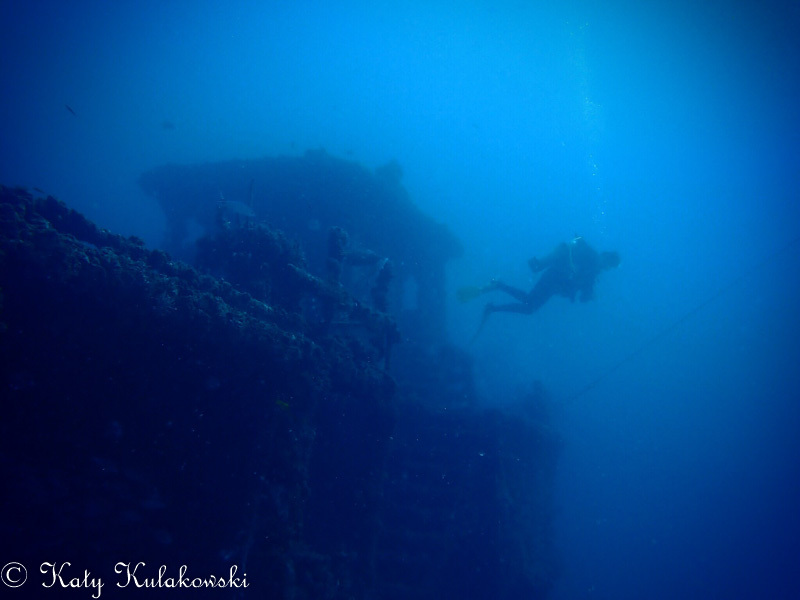 UWPG community member Pavol Ivanov is a freediving instructor who is getting a lot of use out of his TG-5! Here is what he has to say. In freediving use, we mostly use the wide angle option to really capture the perspective of space and movement underwater. Based on a recommendation from Bluewater Photo, I use the UWL-04 wet wide angle lens, which offers a very wide fish angle view of up to 165 degrees. Although I found some blurry edges in some occasions, in general it works quite well. The UWL-04 offers super wide angle and lets you come really close to the subject, offering great photo quality, and the lens in manufactured to perfection. The Olympus housing PT-058 works really well, it is not heavy, but yet feels sturdy and well made, and it allows access to all functions of the camera very easily, even the GPS logging function. The UWL-04 lens can be screwed on directly on the housing without any extra ring. The video options of the TG-5 got a serious upgrade from the TG-4. For top quality video, the TG-5 offers ultra HD 4K video (3840x2160) recording at 30 fps (approx. 102 Mbps bit rate) or 25 fps. Note that when shooting in Microscope Mode, resolution is limited to 1080p at 60fps. For making neat timelapse videos, the quality options are 4K 3840x2160 or 1280x720. 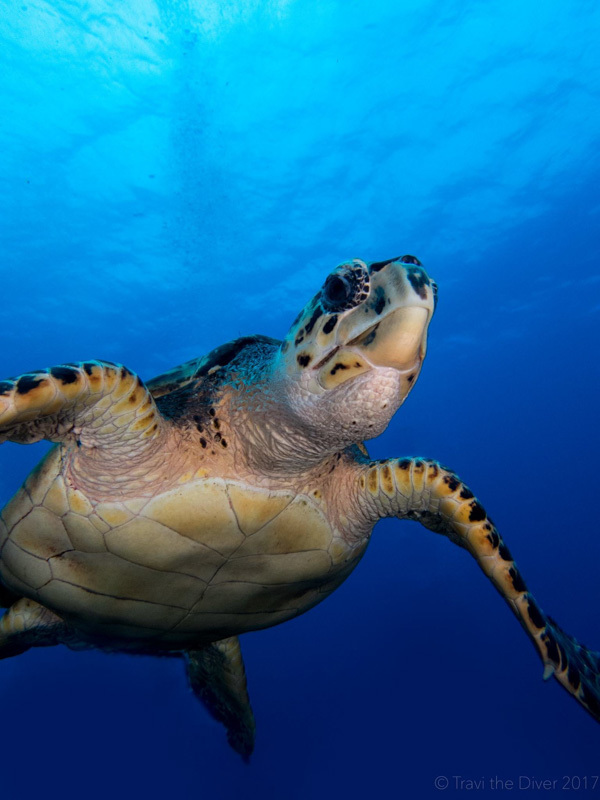 UWPG community member and photography instructor Tom Caruso took a neat video of a sea turtle when snorkeling in Hawaii. 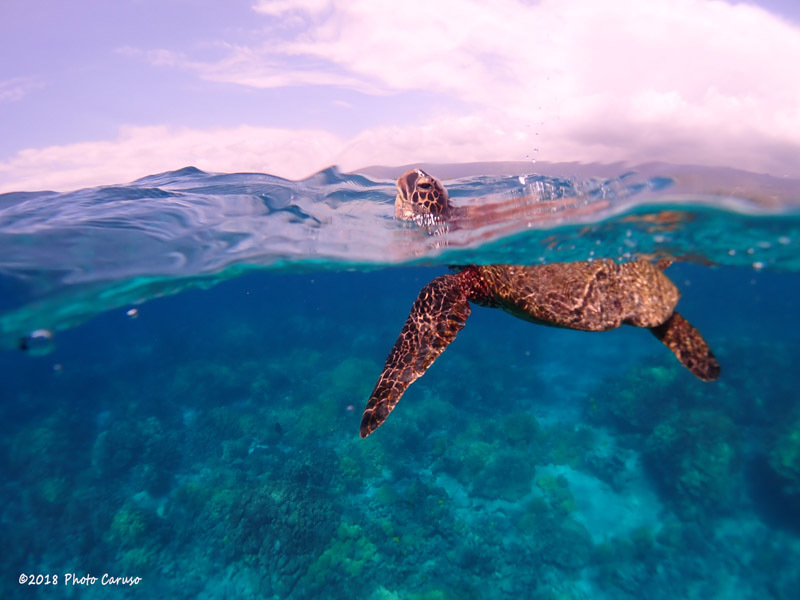 He left his TG-5 on the bottom by a sea turtle, which got interested in its own reflection in the UWL-04 wet wide angle lens dome. Video of sea turtle checking out UWL-04 wet wide angle dome. Olympus TG-5 with UWL-04 wet wide angle lens, in high speed movie mode, shot at 720p. The TG-5 also offers high speed movie mode, allowing you to shoot 1920x1080@120fps (equivalent to 4x slow motion). At lower resolutions you can shoot higher fps rates: 1280x720@240 fps, and 640x360@480fps. 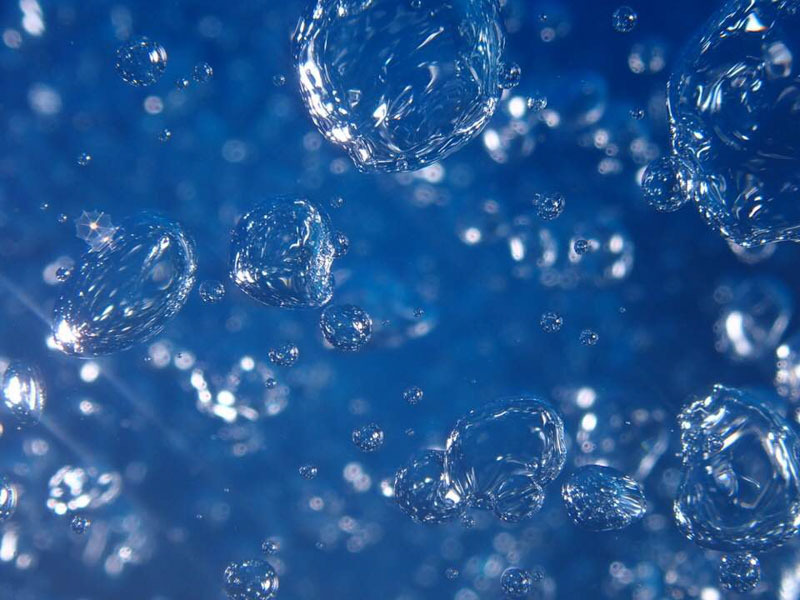 UWPG community member and free-diving expert Pavol Ivanov took a very cool slow motion video of a bubble ring rising through the water column. Slow motion video of bubble ring rising through the water column. Olympus TG-5 with UWL-04 wet wide angle lens, in high speed movie mode, shot at 1280x720@240 fps. Tom Caruso also took a nice slow motion video of an eagle grabbing a fish out of the water. This is a good example of using high speed mode to capture wildlife behavior. Here is what he shared. While in Alaska I was able to capture super slow motion video of a bald eagle pulling a fish out of the water at 480 frames per second. It turned a 3 second event into a 38 second video. The 4K video is equally impressive, but takes up lots of memory so I travel with 2 extra chips and a 2 TB hard drive. Slow motion video of eagle grabbing fish. Olympus TG-5 in high speed movie mode, shot at 640x360@480 fps. Should you Upgrade from the TG-4? 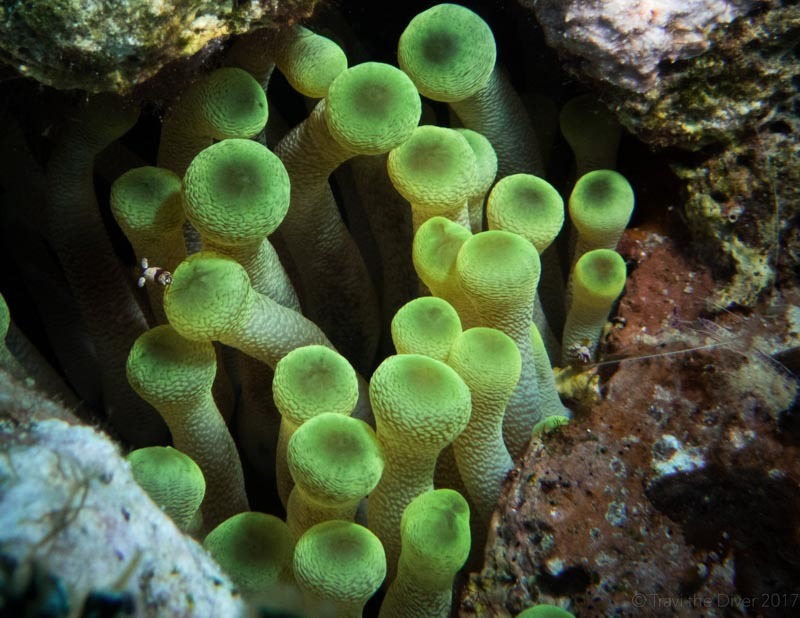 The TG-4 became extremely popular with its semi-manual shooting modes, RAW image capture, image stabilization and (especially important for underwater photo/video shooters) microscope mode for super macro. The camera can shoot a crisp image of the back of the lens cap! The Tough TG-5 builds on this strong foundation with upgrades that follow the trends of high-ISO shooting performance, low light performance, 4K video recording and burst recording. So if you have a TG-4 and those are important functions to you, especially for video, then it's certainly worth considering upgrading to the TG-5. However, if you are quite happy with the performance of your TG-4, then it may not be worth the expense of getting a new camera and housing. When compared to other popular compact rigs like the Canon G7X Mark II or Sony RX100V, the TG-5 falls short on many of the specs, including sensor size and image quality. However, it has clear advantages in cost, as the TG-5 camera/housing bundle it is significantly cheaper than G7X Mark II bundles and less than half the cost of RX100V bundles. It also stands out for its simplicity and macro shooting, with the outstanding microscope mode allowing great macro shooting without wet macro lenses. This further helps to keep things simple and low cost. The TG-5 also has the huge advantage of the camera itself being waterproof, freezeproof, dustproof, and splashproof, allowing it to be used in any environment without a housing (as long as you don't take it too deep underwater). Finally, don't forget the options to attach Olympus' add-on fisheye and telephoto lenses directly to the camera body. On price point and functionality, the TG-5 competes most directly with the SeaLife DC2000, which features a larger 1" sensor and simple piano key control, at the same price point (camera + housing). However, the DC2000 also has a set focal length of 11.6 mm (31 mm full frame equivalent), with no zoom capabilities. 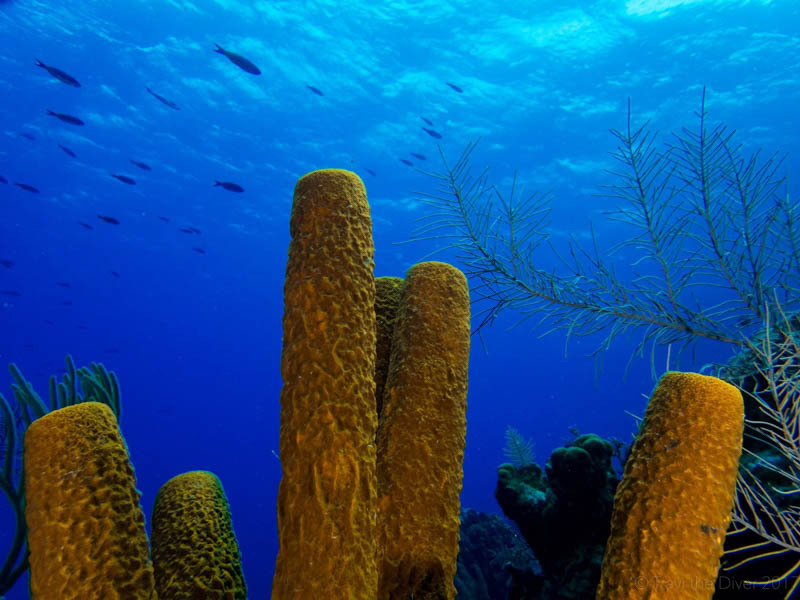 This does not limit it too much underwater, as wet lenses can be used to provide macro and wide angle functionality, though that does add to the cost and complexity. Topside, it is a significant limitation when compared to the 25-100mm full frame equivalent zoom range of the TG-5 (not to mention the TG-5's availability of add-on telephoto lenses). So if you are wanting the cheapest available option to take great macro and decent wide angle photos underwater, without adding wet lenses, the TG-5 has the upper hand. Same goes for having the camera for topside use. With a lot of research, both cameras seem great and it was a very difficult call, especially since I was also looking at higher end cameras. As a brand new photographer (coming from camera phone and go pro), I wanted a camera that would give me the most options for my life. It needed to work well below freezing, and stand up to the heat of wherever I choose to travel. Olympus, as a company, has a good reputation in the business rather than only going after a niche market. Overall image quality on dry land and u/w was said to be great and many people would beam about the TG-5's macro capabilities without using a macro lens. Above land, the TG-5 offers not only zoom functioning, but also the availability of an add-on telephoto lens. I really liked how versatile this camera was and that it didn't come with the feeling of buying into a brand; maybe the telephoto lenses will be Olympus specific but I can choose any accessories I want for my dive housing. The camera itself gives the user enough options to take the first steps into controlling their camera, but without task-loading the user too much. Manual mode would have been great but, for all I have going on, it would have been more frustrating since I just don't have time to really learn how to use that feature. This camera does not disappoint! I took photos of elephants and landscapes, then stuck it in a river to snap a picture of fish before quickly going back to landscapes. Two days later, it was used for dives and sunsets, and the colors before using any editing software were incredible. If you are thinking about mirrorless options, be prepared for a significantly higher price tag. That will get you improvements in many areas, including sensor size, image quality, low light performance, improved autofocus, and getting to use dedicated fisheye and macro lenses, to name a few. 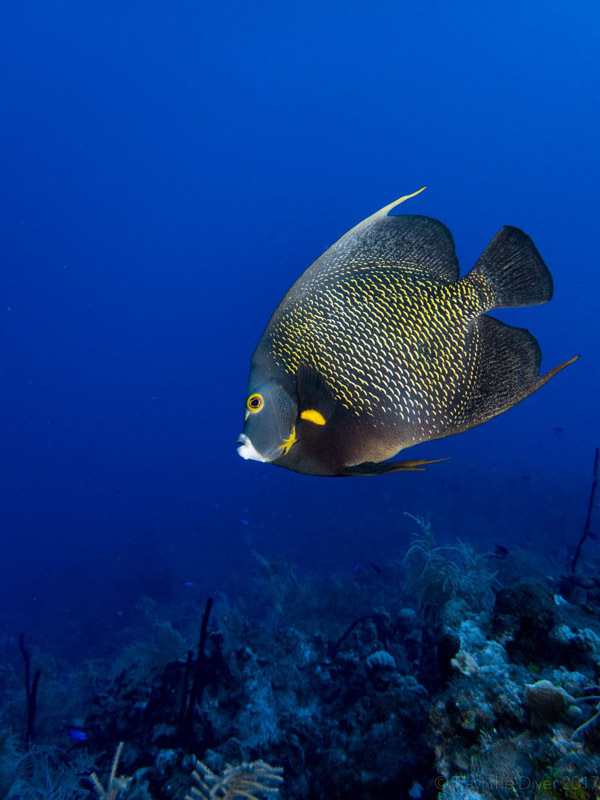 However, it also comes with a number of drawbacks other than cost: size, weight, and a loss of the ability to switch between wide angle and macro shooting in a matter of 10 seconds or less while underwater. Check out our reviews of the OM-D E-M5 Mark II and the OM-D E-M1 Mark II for a couple of the more popular options out there. 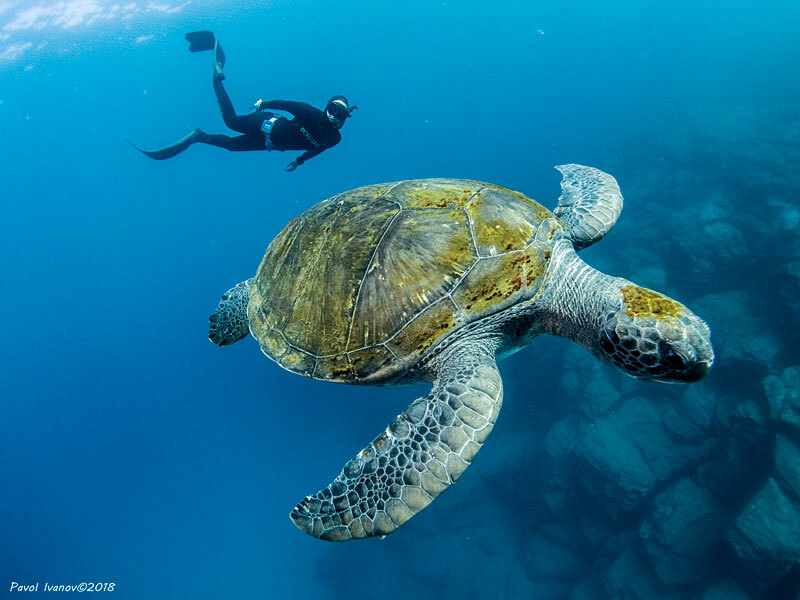 Tom Caruso shared his thoughts on why he switched from a large underwater rig to a TG-1, and has stuck with the TG cameras all the way through to the TG-5. I must confess that I no longer have a desire to travel with a large DSLR/mirrorless camera in a housing. As with any camera, the price you pay is not always commensurate with the quality of photos you get. Only when a photographer knows how to get the most out of their rig will they consistently take good photographs. 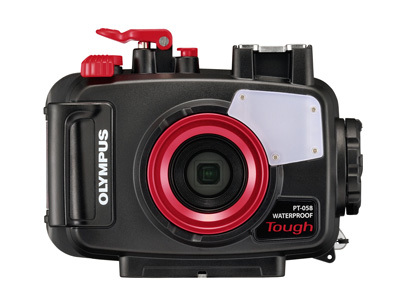 Unfortunately, the Olympus TG-5 does not fit in the older TG-3 and TG-4 underwater housings. The camera body sizes are very similar, but the TG-5 has a larger finger grip and the new control dial on top. Below are some great housing choices from our sister company, Bluewater Photo. Check out the housings and be sure to reach out for the best recommendations on accessories like macro and wide-angle lenses, lights and strobes. 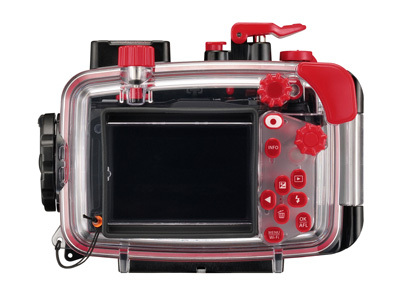 The Olympus underwater housing is compact and lightweight, with great ergonomics. 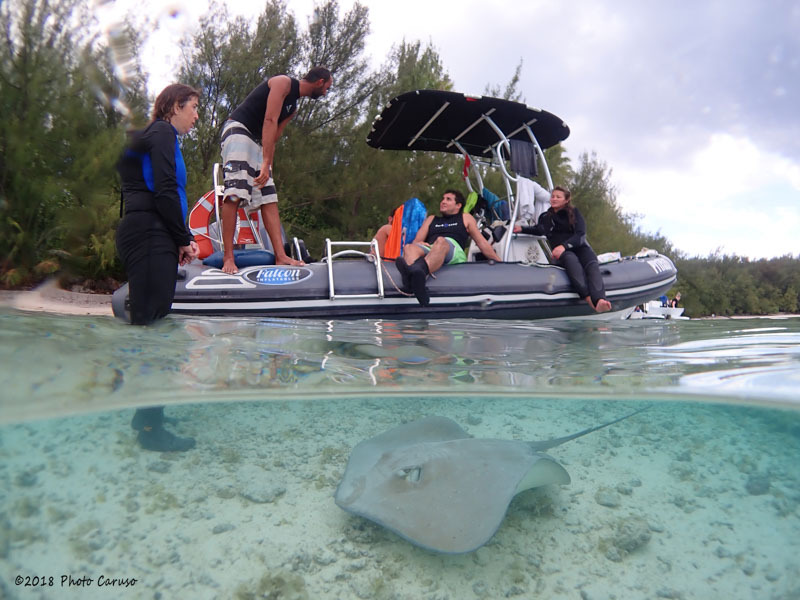 It is rated to a depth of 45m (147 ft), and all camera controls can be accessed from the housing with ease. It can accept a variety of wet lenses for both wide angle and macro shooting, and most importantly, it is very affordable! The PT-058 housing is a superior design over the flawed PT-056 model. Specifically, the zoom control on the housing worked in reverse of the camera zoom control lever. This was very frustrating, so I’m glad to see that fixed. Since I shoot in Aperture Priority mode it is nice to have a distinct knob on the housing for this feature. The optical cable adapter now allows for two cables to be attached. Previous models required a splitter if you were using dual strobes. Ikelite housings are made from an ABS polycarbonate blend, making it both lightweight and strong. This durable housing is rates for depths of 60m (200 ft). It features a side-mounted shutter release and a new zoom control, for easy operation. The housing port has a 67mm thread, making it compatible with multiple wet lens options, both wide angle and macro. 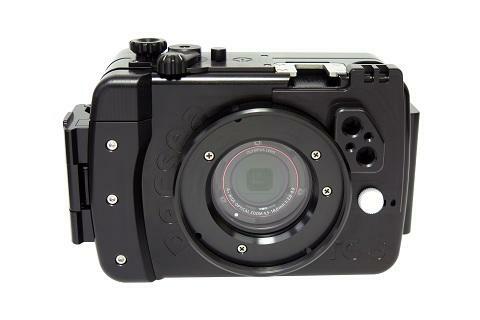 Along with the Olympus housing, this is the most affordable TG-5 housing available. The RecSea aluminum TG5 housing is a high-quality housing. The aluminum construction provides additional strength and durability, increasing the depth rating to 100m (330 ft). However, this added strength comes at a cost; this housing is significantly heavier and more expensive than the previous composite material options. Dimension-wise, it is compact, with great ergonomics; all camera controls are easily accessible from the housing. Additionally, it has a 67mm port thread to accept a variety of wet lens options (wide angle or macro). 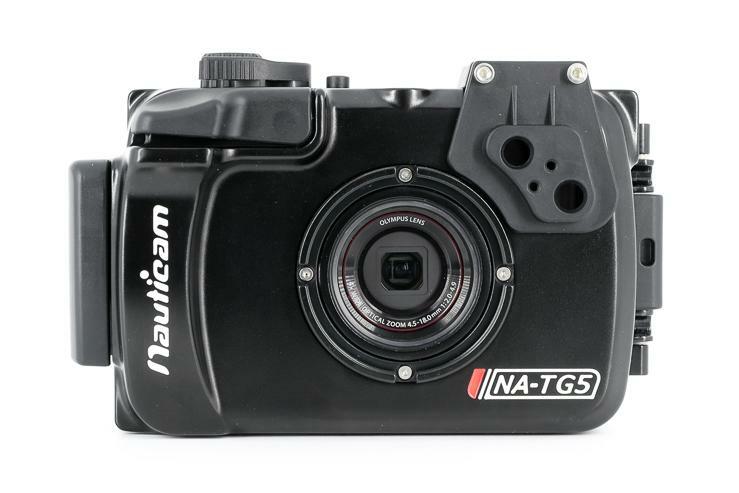 The Nauticam TG-5 housing, constructed from milled aluminum, was designed with a focus on ergonomics. 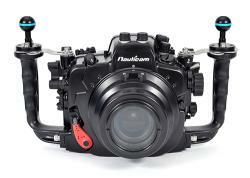 It offers features found in their high end DSLR housings. All controls are clearly labeled, with an easy-to-identify bright red video recording button. The housing includes a 52mm threaded port, allowing addition of different wet lenses (macro and wide angle) to expand your underwater shooting ability. In addition both a cold shoe and M10 mount offer multiple mounting points for additional accessories. Dual Fiber Optic Connections are included, with holes that fit the standard Sea & Sea style plug or bare ended fiber optic cables. 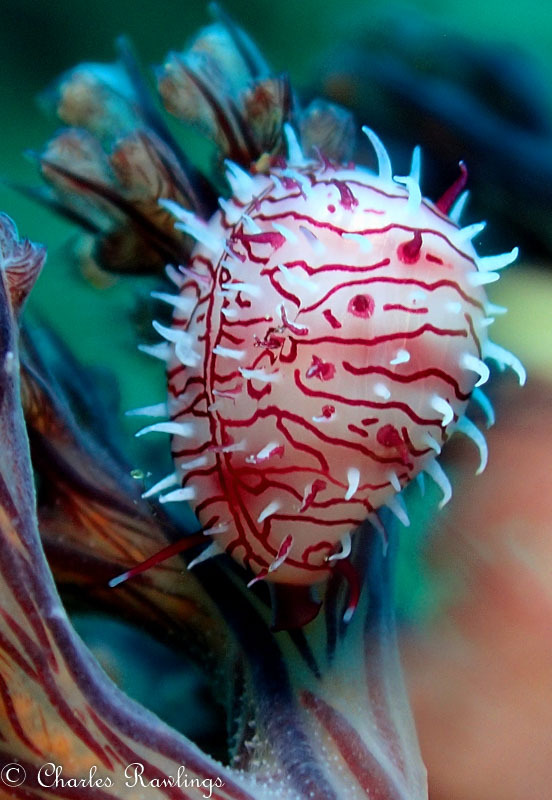 Microscope mode allows for fantastic up-close macro shots, without requiring the use of any wet lenses. Adding a wet wide angle lens to the equation allows for ultra-wide fisheye shots with excellent quality. 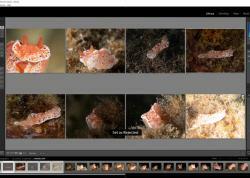 RAW image capture is an essential feature for photographers who really want to edit their photos. Although the TG-5 does not have full manual mode, it does have aperture priority mode and exposure compensation, which still provide significant artistic freedom. As a bonus, the added control dial on top of the camera makes it that much easier to make quick adjustments to aperture and exposure compensation on the fly. 4K video (at 30fps) is available for those that really want the resolution, and 120fps (at 1920x1080) is available for those that are more interested in slow motion effects. We have a number of feature articles written by contributors to this article which talk more about their specific experiences with the camera. There is lots of great additional info in each of them!